Harold Parichan was one of the hundreds of San Joaquin Valley farmers who were minding their own business when California High-Speed Rail abruptly intruded into their lives. Mr. Parichan grew up in Reedley (southeast of Fresno), where a thriving community of Armenian-Americans grew during the early 20th Century. His father was an immigrant from Armenia. Mr. Parichan subsequently attended some of the nation’s most prestigious colleges and law schools. He then became a prominent corporate attorney. But ultimately he became an almond farmer in Madera County. Parichan, a Stanford University law graduate, insists he won’t give up any of his prized orchard without a fight. The bullet train route would cut through the middle of seven of his orchards, Parichan said, severing irrigation systems and landlocking about 200 acres from his tractors. Harold Parichan spent sleepless nights worrying about the California bullet train. Over dinners with his daughter and sons, he would ponder the fate of his prized almond orchards in Madera County, which would be sliced diagonally by the future tracks. Disabled since polio struck him in the 1920s, Parichan overcame many obstacles, attending UC Berkeley and Stanford University law school on crutches and braces. But the bullet train became one of the biggest emotional challenges in his life, and time was running out for the 92-year-old farmer. Parichan died Wednesday in Fresno after a bout with the flu, leaving his fight to keep the train off his farm unfinished. Sue Parichan Habild, who worked with her father for decades, vowed that the family would continue his fight. Many of the leaders and members of Citizens for California High-Speed Rail Accountability can relate to the experience of Harold Parichan. Immigrant families from all over the world (but particularly from Portugal/the Azores, Armenia, Basque country, Mexico, Japan, the Netherlands, and Sweden) settled in rural areas of the San Joaquin Valley and passed an agricultural tradition through multiple generations. Politicians and planners in the coastal cities assumed that these rural Valley communities would easily succumb to becoming the “initial construction segment” of a costly high-speed rail system that would eventually connect San Francisco and Los Angeles. But instead of “transforming” the future of the Valley from farming, ranching, and dairies into a trendy urban culture made in their image, these politicians and planners have brought out the best of our existing culture. Harold Parichan’s descendants have vowed to continue the fight to save Parichan Farms. 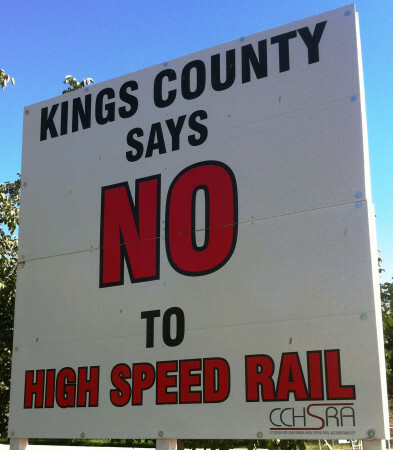 Citizens for California High-Speed Rail Accountability will do the same. CCHSRA would be proud of Mike Brady’s testimony to Harold last Tuesday during the memorial luncheon, repeating some of Ralph Vartabedian’s comments and adding his and everyone’s thanks for Harold’s support of Tos, Fukuda. When Mike announced he was an attorney on the case, a spontaneous applause filled the San Joaquin Country Club dining room. It was a reminder that, while we’re all “in the trenches” of our battle against the waste, fraud and destruction of the CA high Speed Rail Authority, there is tremendous support for CCHSRA’s mission. STAY THE COURSE, We’re on the winning side!